For the time being, please use the contact page to inquire about link exchange. Gates Of The Lion http://truemetal.org/symi-gate/ Fanzine with reviews/interviews with a special Greek scene section. 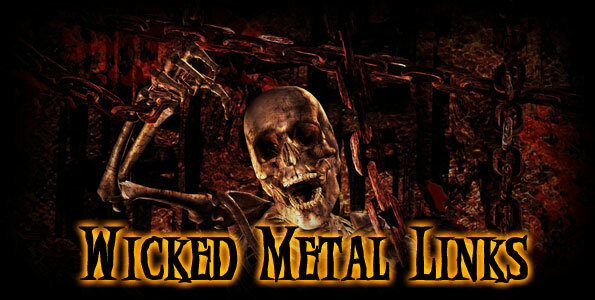 Heavy Metal Lives http://www.metalprovider.com/metallives Underground CD reviews, interviews, band listings etc. Metal Storm http://www.metalstorm.ee Bands pages (by style, by label, by country, a to z), metal news, release dates, tour dates, forum and some other stuff. Metal Update http://www.metalupdate.com Very good and complete metal news website. RPM CD/DVD Mailorder - UK http://www.rpm4music.com/ Growing online rock / metal CD/DVD mailorder site! Tartarean Desire http://embark.to/tartareandesire Webzine dedicated to metal and dark music, updated every week. Jaded Heart Zone http://listen.to/jadedheart Fansite about German rockers Jaded heart. Metal Union Fanzine http://www.geocities.com/metalunion2/ Print 'zine with an innovative concept (for the metal world). Metalunderground.com http://www.metalunderground.com/ Heavy metal news, reviews and community site - updated daily! MusicSubmit.com http://www.musicSUBMIT.com A website and press release submission service for the musician.